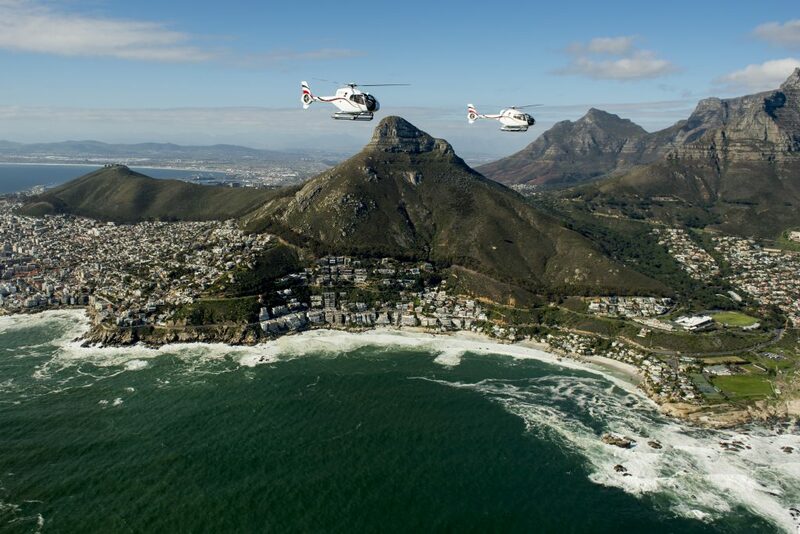 Soar above Cape Town’s iconic sights in an unforgettable helicopter experience. 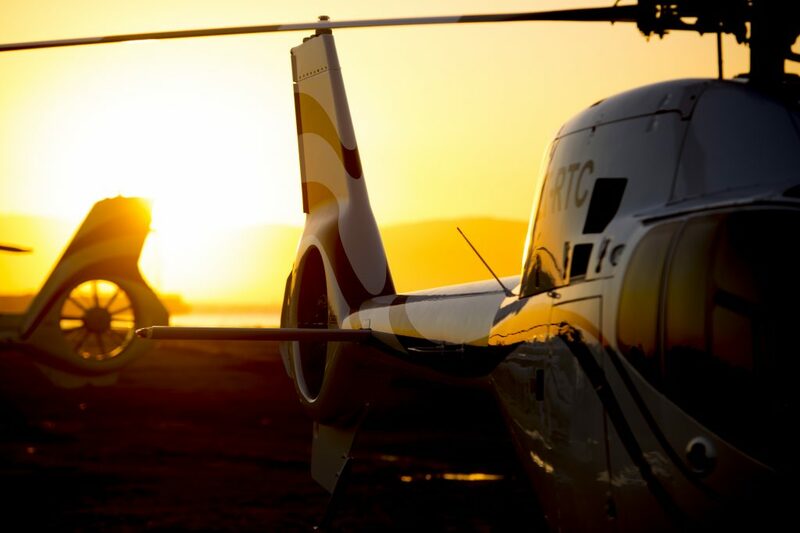 Take an unforgettable tour of Cape Town on an exhilarating helicopter adventure. 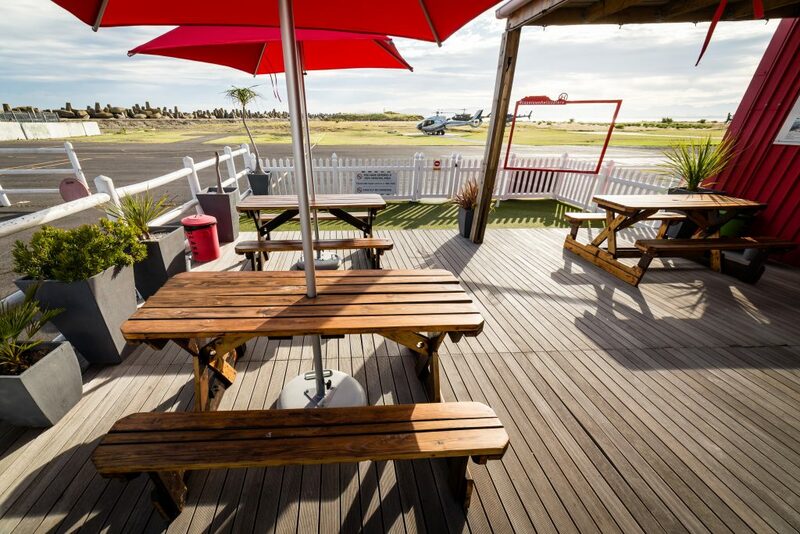 The Twelve Apostles Scenic Flight takes you over the iconic Table Mountain National Park, where you’ll view highlights including Table Mountain, Lion’s Head, the Twelve Apostles mountain range and Camps Bay beach. Cruising for up to 18 minutes, the sights are only half the excitement. Being in the air with an experienced and friendly guide is an adrenaline rush that makes this a must-do experience. 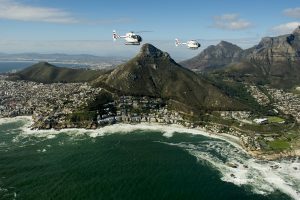 Cape Town Helicopters is South Africa’s biggest scenic helicopter charter company and rated #1 in Cape Town on TripAdvisor. The company has been in operation since 1989 and offers a number of exciting helicopter tours and visitor packages. above Cape Town’s most iconic sights, you’ll get the opportunity to snap unmatched photos of Table Mountain, Lion’s Head and a huge stretch of Cape Town’s Atlantic coastline. 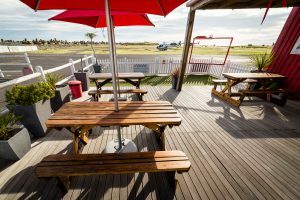 Be sure to check weather conditions on the day of your flight, as the best days for trips are clear, sunny and not very windy – just remember to bring your sunglasses. For those looking for a real adrenaline boost, opt to sit in the front where the views are even better and the experience a bit more riveting! 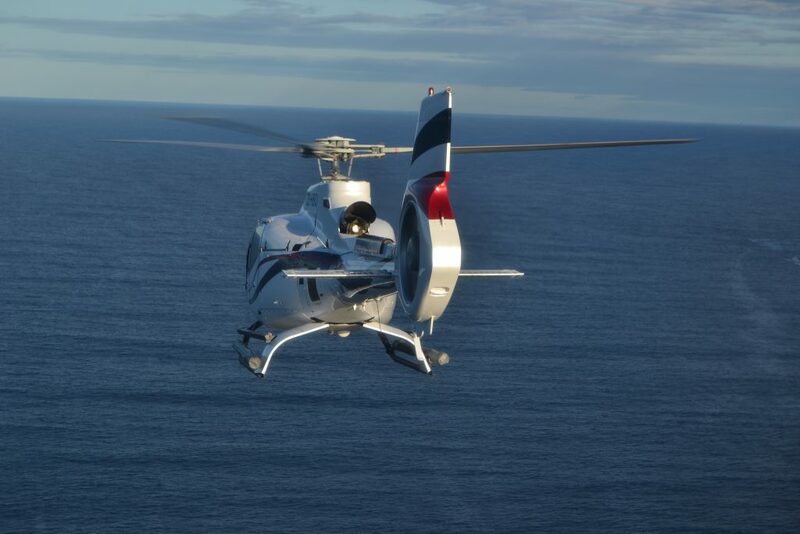 Cape Town Helicopters flies the Airbus H120 and H130 choppers, also known as hummingbirds. About 600 of these eco-friendly birds are in operation worldwide, making them the preferred helicopters for responsible tourism companies. They’re also among the lightest and quietest helicopters to take to the skies, meaning your flight isn’t a burden on the city or the natural environment.